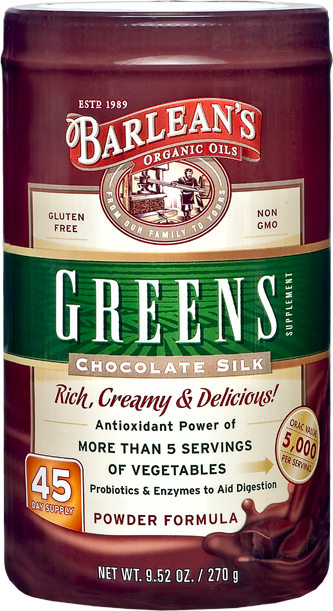 Barlean's new Chocolate Silk Greens are the absolute easiest and most delicious way to fuel your family's vitality and energy with the antioxidant power of more than 5 servings of fruits and vegetables. Mix with water of your favorite milk or milk alternative. Perfect super-nutrition for the whole family - kid's love it!